Musicians from Darjeeling celebrated International Blues Day at Lion’s Gate, Darjeeling. Musicians of all ages got together to remind Darjeeling of its glowious, yet almost fading music culture. 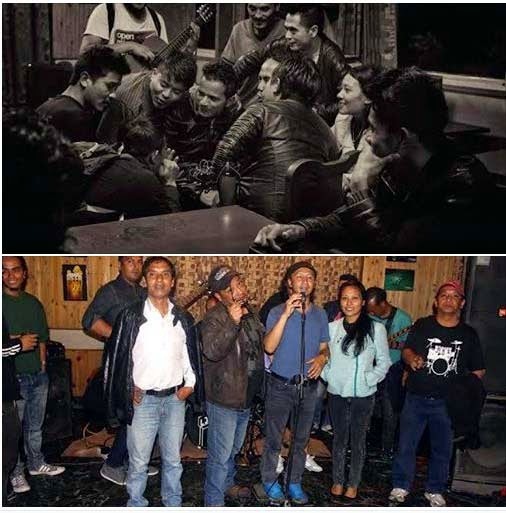 Corresponding with TheDC, Minket Lepcha who was present on that day stated, "It was a humble and honest effort to remind ourselves of immense love for music that Darjeeling has and still struggles to retain of whatever remains. The gathering was a realisation to witness the contagious energy of music and musicians who still finds an opportunity to share this passion for music." Musicians from amazingly talented Darjeeling based bands - Forbidden Fruit, Magnum Opus, US Band, Puran Gongba, Mahatmas, Mantra, Destiny, Reincarnation, and renowned blues guitarist Binay Rai, Aswath Rumba and all the groovy boys and girls were present and jammed to some of the best blues tunes. Editorial Note: The International Blues Day was celebrated on August 2nd, but due to technical issues, we could not access our email on time, hence the delay in reporting.